Joysticks were once essential for Atari consoles during their 1980s heyday. They were also a-big PC gaming accessory in the ’90s for the space and flight simulator genres. Then joysticks were and still are, designed to emulate the flight control sticks in military and civilian aircraft. Joysticks enhance the realism of flight and space simulator games. However, things have changed a bit since the joystick‘s heyday as the flight and space simulator genres have declined. Gamepads are now much more prevalent game controllers. Nevertheless, there are still some great joysticks for PC gaming that remain an alternative to gamepads. Few gamepads can match joysticks‘ flexibility and throttle control for flight and space simulators. These are some of the of the best PC joysticks for 2019. The Logitech G Saitek X52 is a HOTAS (Hands On Throttle And Stick) joystick that includes a separate throttle with a LCD display which provides button configuration details. The joystick itself includes a grip adjustment system so that you can configure it for your grip. It also includes novel illuminated critical buttons that light up the joystick and enhance the gameplay. The G Saitek X52’s adjustable throttle further enhances the controller’s realism as you can alter the throttle’s resistance for games. Another great thing about the G Saitek X52 is its extra Windows software with which you can configure the controller for specific games. So this joystick has some unique features few other controllers can match. Check out the G Saitek X52 at the Logitech website. 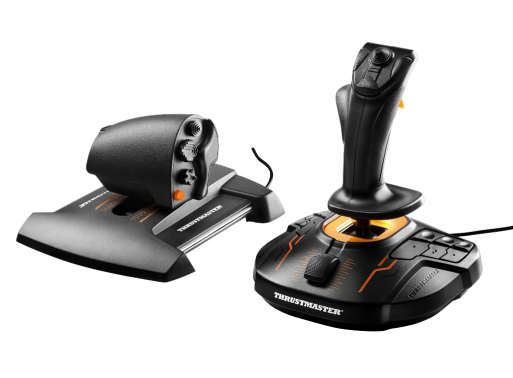 The Thrustmaster T.16000M is a joystick for Windows 10/8/7/Vista with comprehensive and realistic controls. The joystick incorporates H.E.A.R.T technology with magnetic sensors that ensures it has higher precision controls for games than most alternative controllers. 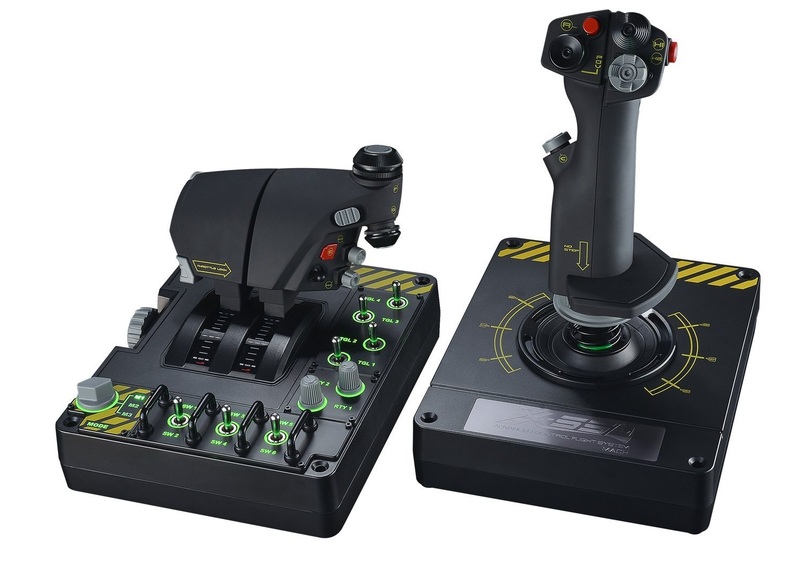 As this is a HOTAS joystick, it comes with a separate TWCS throttle that includes 14 buttons in addition to the joystick’s 16 buttons, which amounts to 30 buttons altogether. You can set up separate mapping profiles for games and combine the T.16000M with other Thrustmaster devices with the joystick’s TARGET software. In addition, the T.16000M also has removable components so that you can utilize it as a left or right-handed joystick. 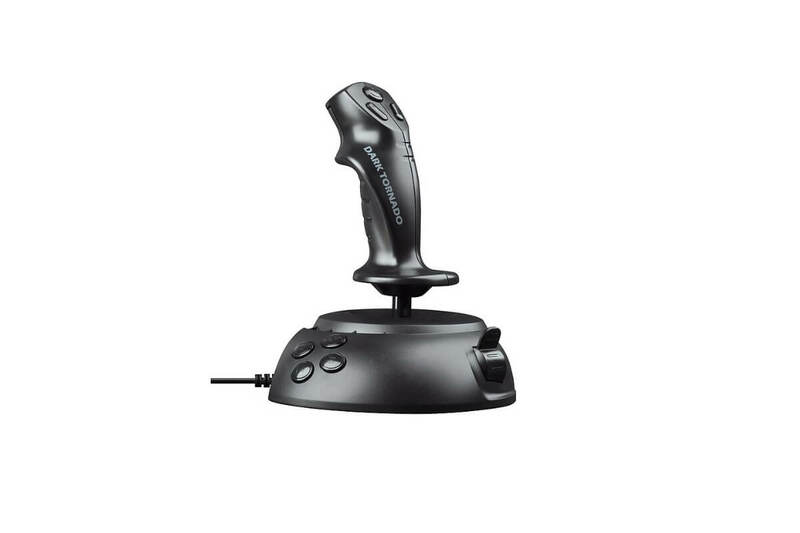 Check out the T.16000M joystick at the Thrustmaster website. The Mad Catz V.I is a joystick with an innovative and stylish design. This is both a durable and responsive joystick that you can utilize with right and left hand. It includes handy POV and Pinkie switches with which you can change the cockpit view and double your control functions (by configuring the Pinkie as a Shift button). 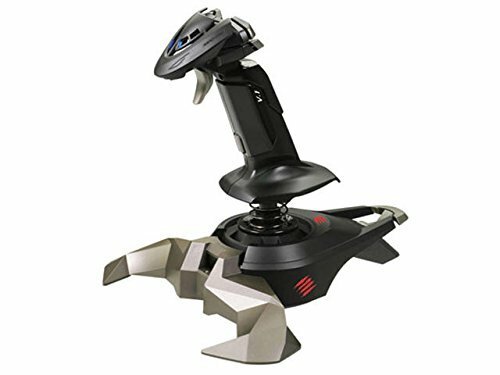 This is not a HOTAS joystick with separate throttle, but the Mad Catz still provides realistic engine control with its throttle lever. So this is among the best value joysticks for gaming in 2018. The Thrustmaster Warthog is an amazingly precise and robust joystick that has the same H.E.A.R.T technology which makes the T.16000M so special. However, this joystick’s greatest appeal is that it is a replica of the flight stick included in the U.S. Air Force’s A-10C ground-support plane. Thus, the Warthog looks much the same as the A-10C flight stick, and with a total of 19 buttons it has more buttons than most joysticks. The Warthog is also a HOTAS controller with separate throttle control. The throttle component has a dual throttle system that enables you to control two motors. That throttle includes a disengageable afterburner detent so that players can adapt their throttle control to more specific aircraft piloted in games. The throttle’s control panel includes five customizable LEDs for extra lighting effects, a friction wheel to adjust throttle resistance with and a further 15 action buttons. So the Warthog is undoubtedly one of the most realistic joysticks for flight simulators, but it’s also retailing at a hefty price. Check out the Warthog joystick at the Thrustmaster website. The Pro Flight X-55 Rhino is one of the most customizable joysticks for Windows desktops and laptops. It includes an adjustable spring system so that you can adjust the frictional play by adding one of four alternative springs to the joystick. The Rhino’s customization is further enhanced with the HOTAS Configuration Software with which you can adjust the joystick’s buttons, axis, response curves and more besides. The Rhino’s throttle controller is also comparable to the Warthog’s throttle as it incorporates a similar twin-engine aircraft throttle for twin-engine planes in games. However, you can still utilize the throttle with single-engine planes by adjusting the throttle lock. The throttle base also includes additional three-way switches and rotaries to further customize the HOTAS control system with. Few other joystick control systems can match the X-55 Rhino’s customization options, surface accuracy and realism. 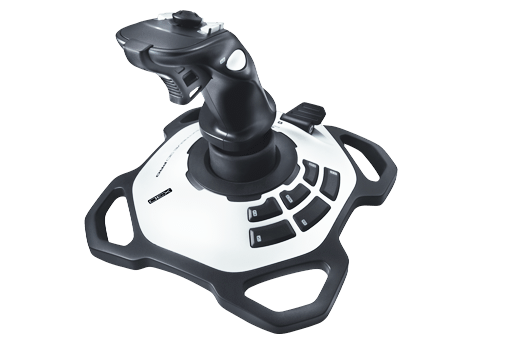 The T-Flight Hotas X Flight Stick is great value alternative to the likes of the X-55 Rhino and Warthog that’s retailing at just $49.99. What sets the T-Flight Hotas X apart from some of the other HOTAS controllers is its detachable throttle that you can attach or detach from the main joystick. The joystick includes 12 buttons and 5 axles that you can reconfigure as required, and the T-Flight also saves your button programming even after disconnecting it. With the T-Flight’s Dual-system control, you can utilize the joystick with its integrated blocking system or by tilting the lever. 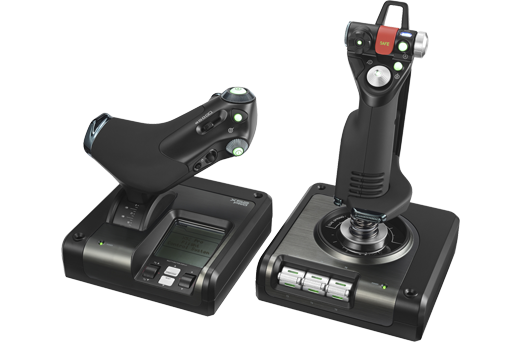 The T-Flight Hotas X’s unique plug-and-play design also ensures that the joystick comes ready to use with minimal setup requirements. With highly precise and responsive controls, the T-Flight Hotas X can transform the way you play Windows simulator games. 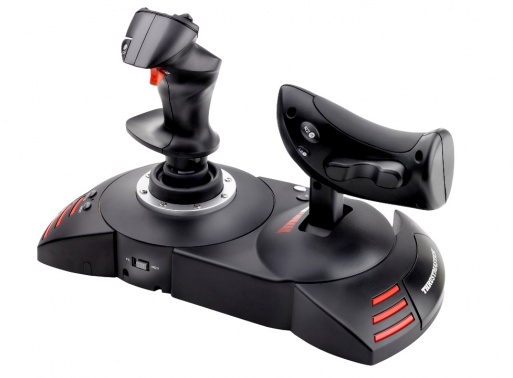 Check out the T-Flight Hotas X Flight Stick at the Thrustmaster website. The Extreme 3D Pro is a highly rated joystick that’s the controller of choice for many gaming fanatics. The joystick includes 12 programmable buttons that you can configure for single commands or macros with multiple keystrokes and other mouse events. You can also easily switch between alternative points of view and weapons in games with the 3D Pro’s 8-way hat switch. The rapid fire trigger is another great addition to the joystick that’s ideal for aerial dogfights and frantic blasting in first-person shooters. The Extreme 3D Pro doesn’t have a separate throttle, but it still includes smooth throttle settings. With a twist-handle rudder, this is a great joystick for fast-paced action games that provides better precision and control than many alternative controllers. Check out the Extreme 3D Pro joystick at the Logitech website. If you’re looking for an affordable joystick, perhaps you might be interested in Speedlink Dark Tornado. This joystick offers precise analog control and it has eight buttons. In order to achieve the best precision, this joystick offers progressive throttle controller for controlled acceleration. Speedlink Dark Tornado also has adjustable Force Vibration function so it can provide you with feedback while playing your favorite games. We have to mention that this controller is ergonomically designed and it comes with four suction cups on the bottom that will ensure that your joystick will remain in place during the gaming sessions. 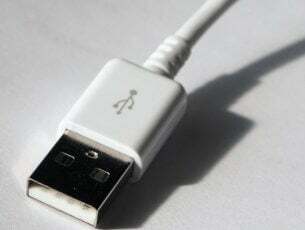 It’s worth mentioning that this joystick supports DirectInput, and thanks to a 2.4m USB cable, you should be able to connect it to your PC with ease. Overall, Speedlink Dark Tornado might not be the best joystick on the market, but it offers solid features, and with its affordable price, it might be a perfect choice if you’re looking to buy your first joystick. So who needs gamepads for Windows gaming? The aforementioned joysticks are precise, realistic and customizable controllers that take flight games to an exciting new level. 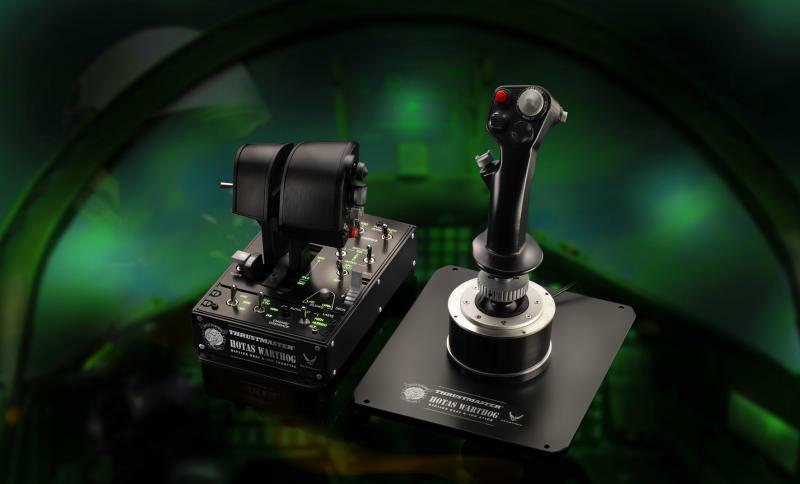 For further details about some of the best flight simulators for joysticks, check out this software guide.